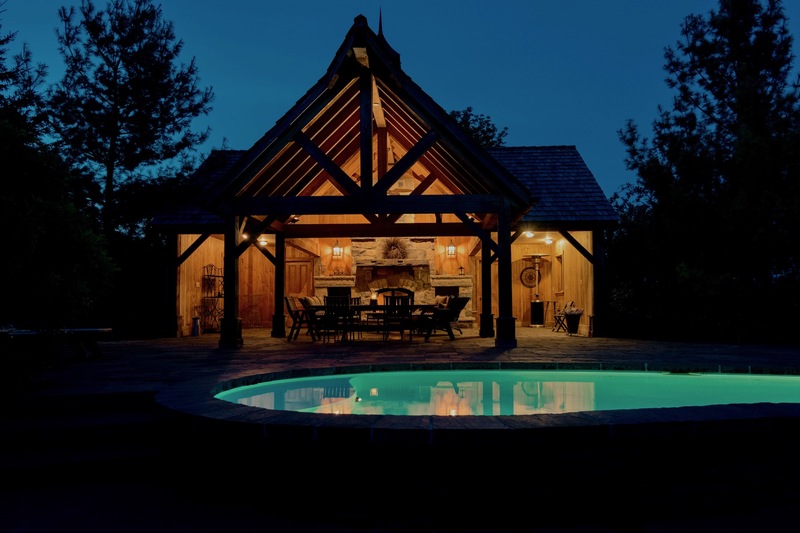 Hockley Retreat acts as a private weekend getaway for our busy clients. 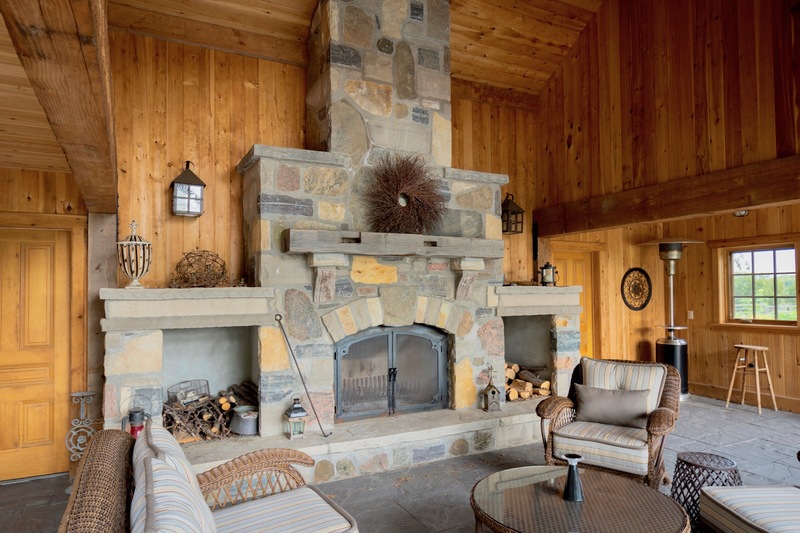 While this power couple loves the outdoors, their vision differed. 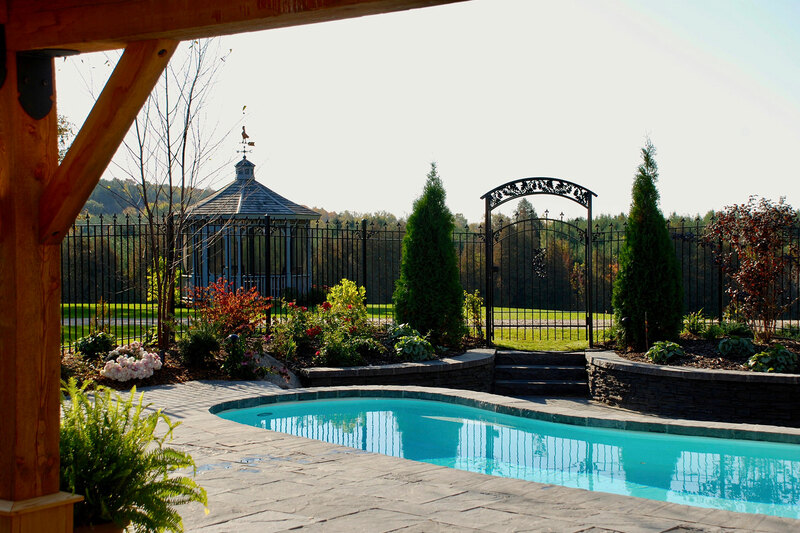 With one an avid gardener and the other seeking a farm experience, we designed and transformed their landscape to their custom desires. 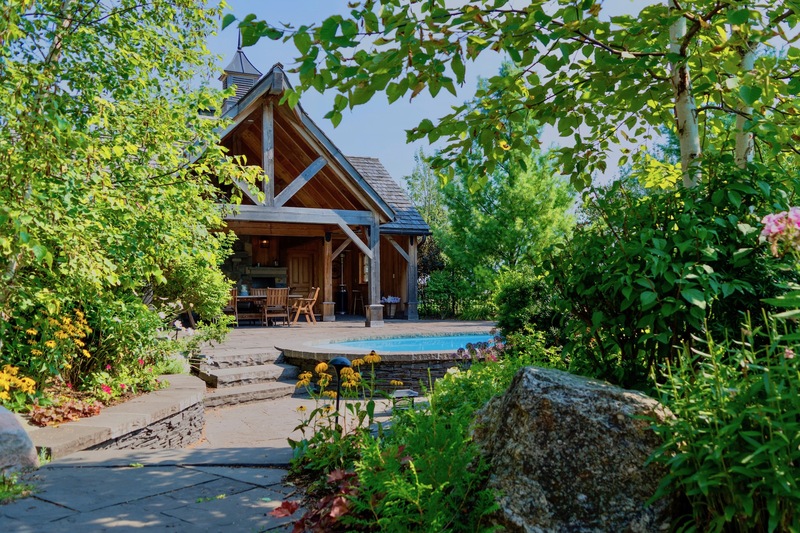 The main challenge in creating this diverse outdoor living space was the smaller size of the property and the positioning of the home in relation to the road. 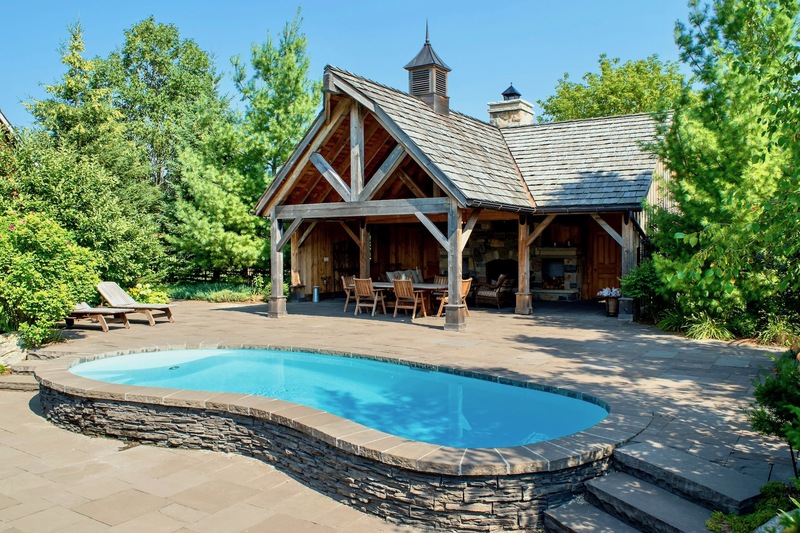 To overcome these obstacles and maximize the space, smaller pieces were added such as a plunge pool at the upper level and a hot tub to the side of the house. 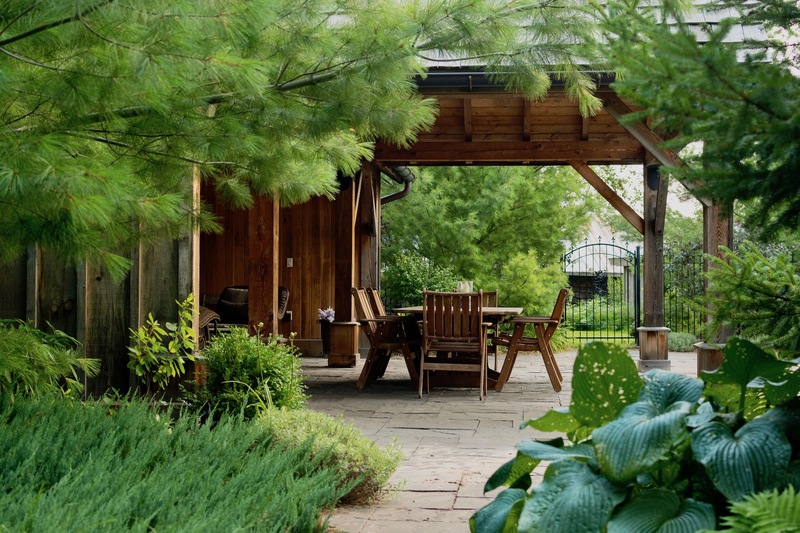 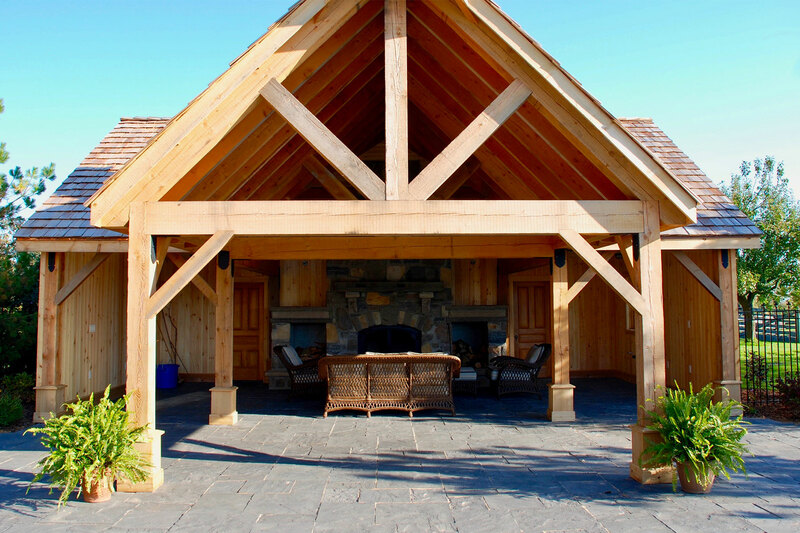 A custom wrought iron fence, spruce and evergreen trees, and a post-and-beam pavilion to match the rustic nature of the house were elements that added complete privacy to the property. 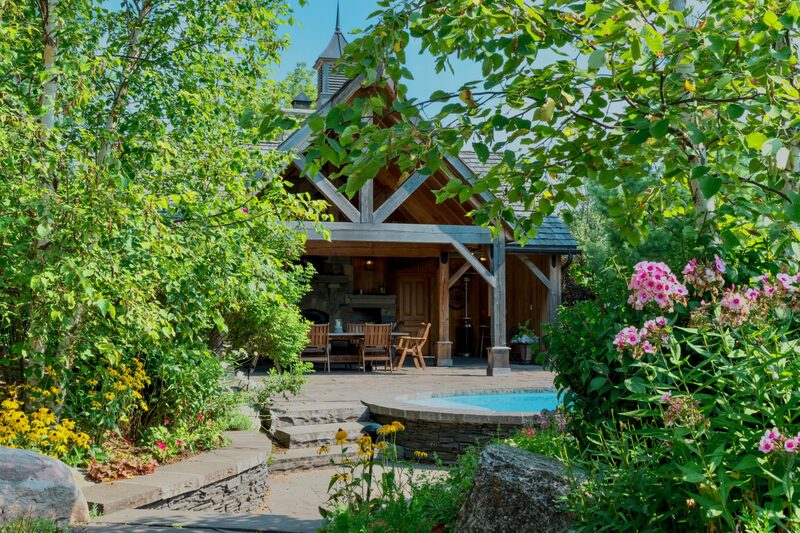 Designed to provide privacy while viewing the open vistas of the surrounding valley, this striking property is the perfect country retreat! 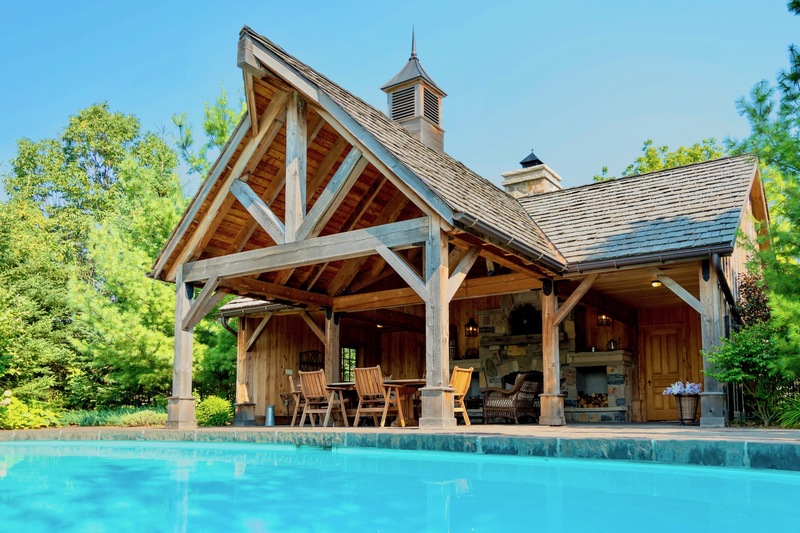 Post-and-beam pavilion with cedar shakes and copper flashings to match the rustic nature of the house. 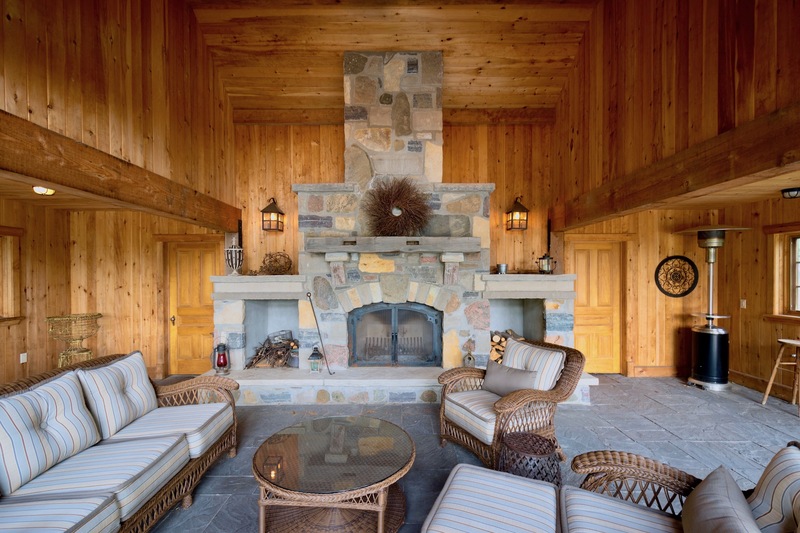 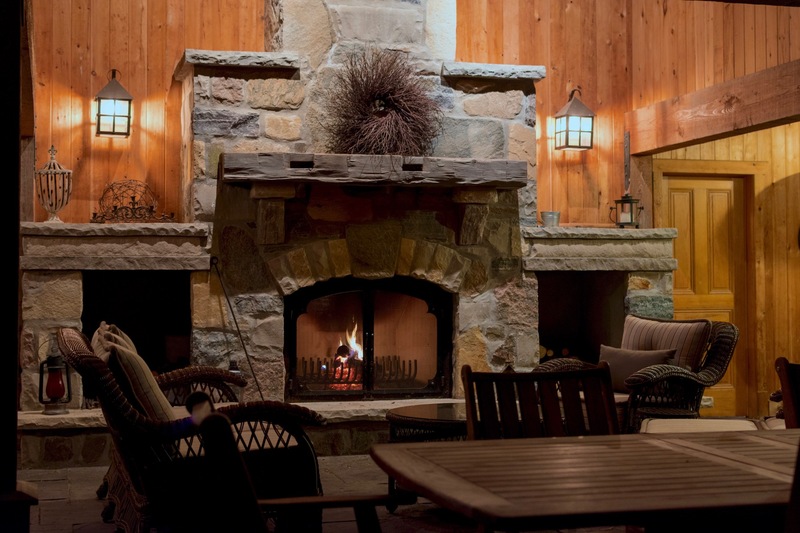 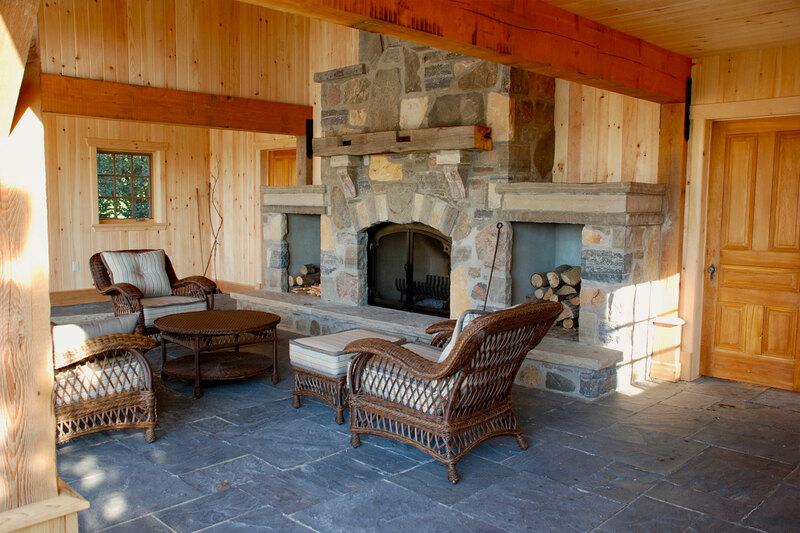 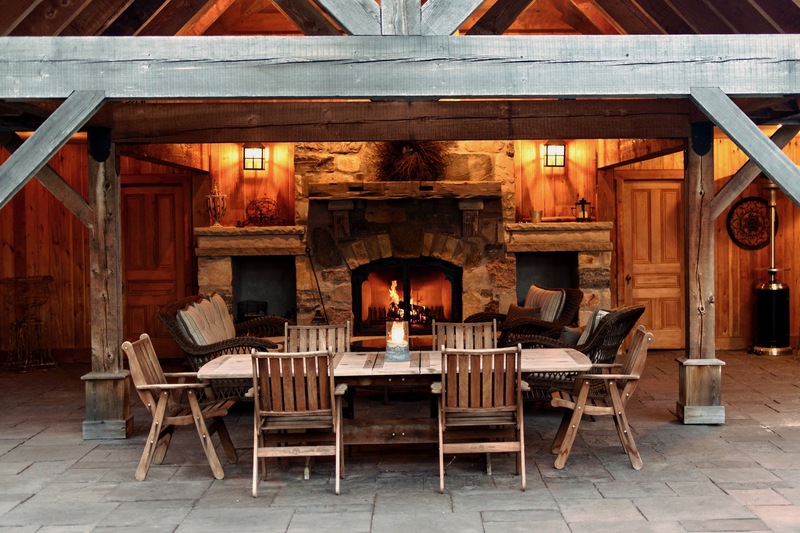 It’s equipped with a bathroom, fieldstone fireplace with custom steel doors, storage room, lighting and speakers. 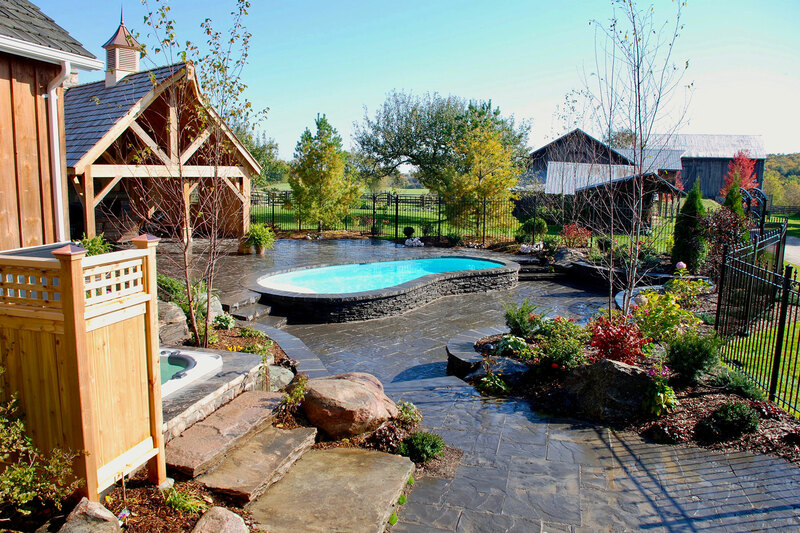 Plunge pool with a solar shelf and knee wall to allow for comfortable sitting and to encourage visiting between those in and out of the pool. 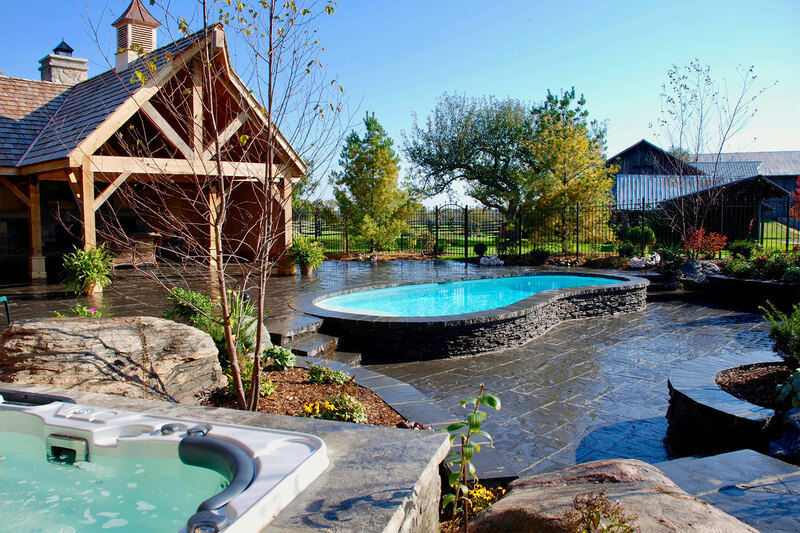 Hot tub complete with stone steps and granite stone foundation built from materials found on client’s property to match existing structures. 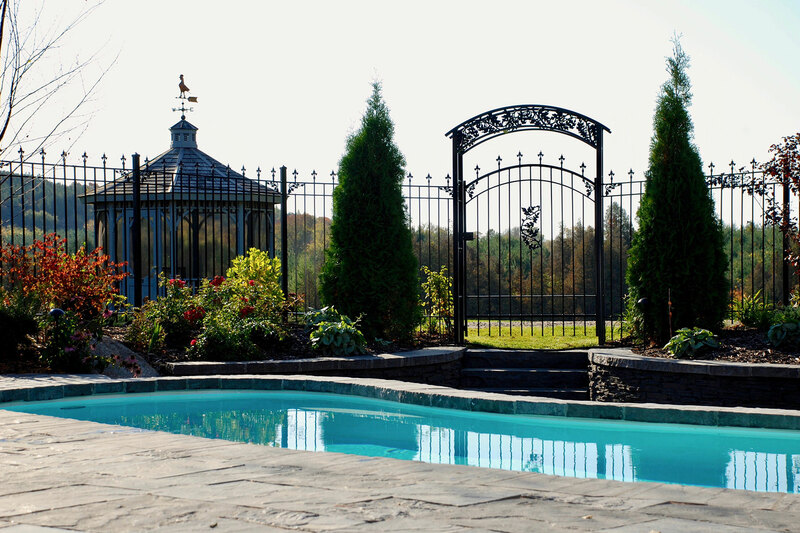 Custom wrought-iron fence surrounding the property. 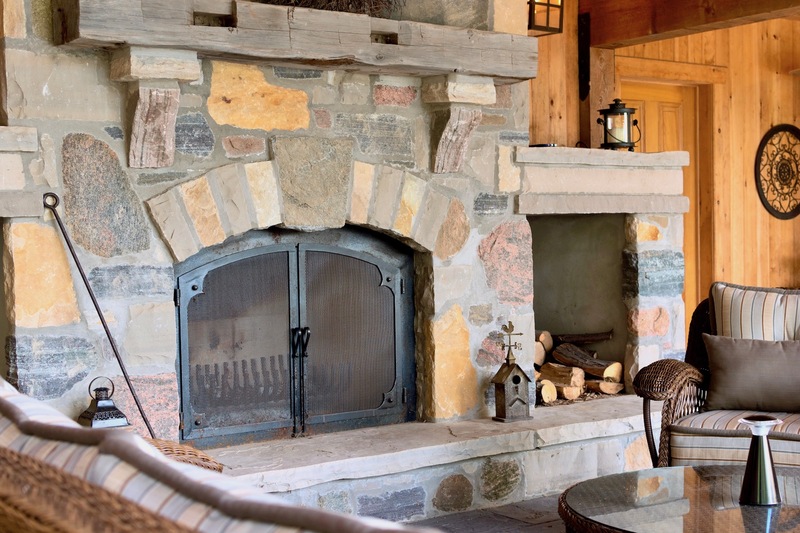 Natural stone sun terrace perfect for morning coffee and breakfast. 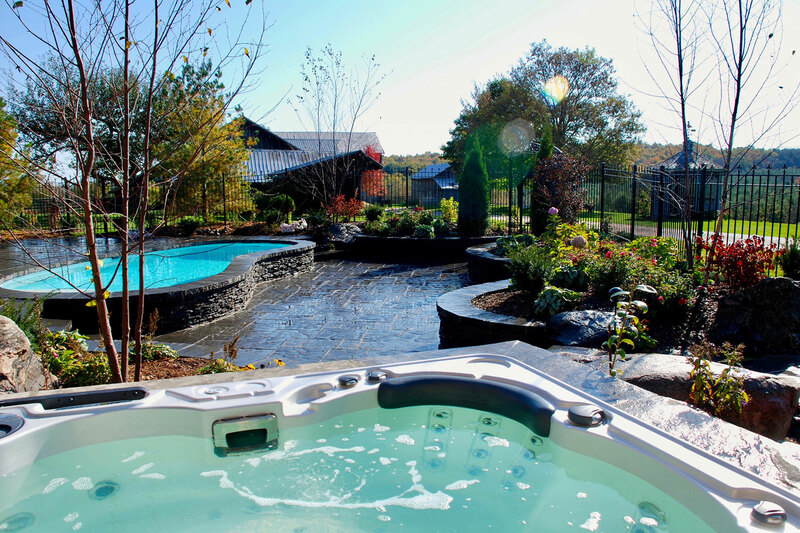 Be immersed in this private, weekend getaway.